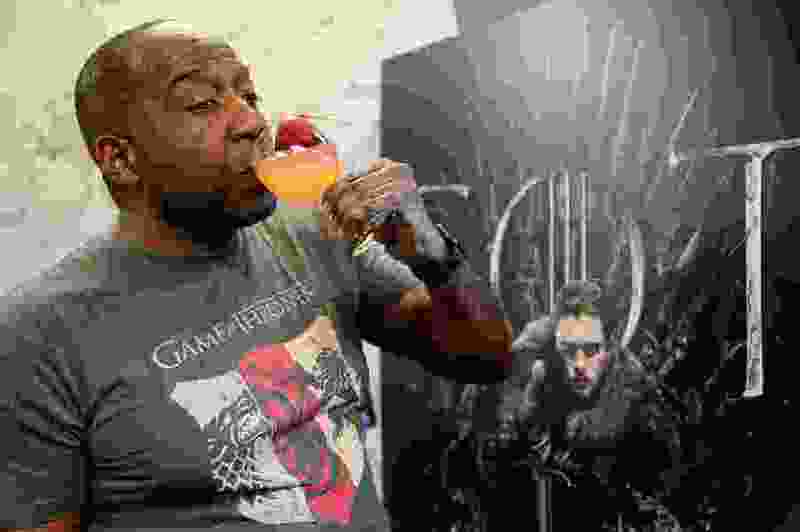 (Francisco Kjolseth | The Salt Lake Tribune) Oz Hutton, owner of Melange Liquid Catering, a Salt Lake City bartending service, tries his Mother of Dragons mocktail for a private "Game of Thrones" screening in Holladay, exclaiming "it's delicious." The drink is made with nonalcoholic triple sec, mango nectar, ginger ale, lime, cayenne pepper and garnished with dragon fruit. From cups of lemonade at wedding receptions to Friday night meetups at “dirty soda" shops, nonalcoholic beverages always have been a thing in Utah. But lately, the state’s teetotaling ways — linked to the state’s predominant religion — seem progressive, even ahead of their time, as more consumers across the country choose booze-free beverages for better health and wellness. There have always been those who choose not to drink beer, wine and spirits either because they’re pregnant, worried about a drug interaction, don’t like hangovers or prefer not to see compromising photos of themselves on social media. Faithful members of The Church of Jesus Christ of Latter-day Saints, who follow the faith’s health code, called the Word of Wisdom, have a religious reason to abstain. Muslims also are taught to avoid alcoholic beverages. Whatever the motivation for being “spirit-free,” they may also have felt uncomfortable or embarrassed ordering a plain Diet Coke at a neighborhood party or company mixer. 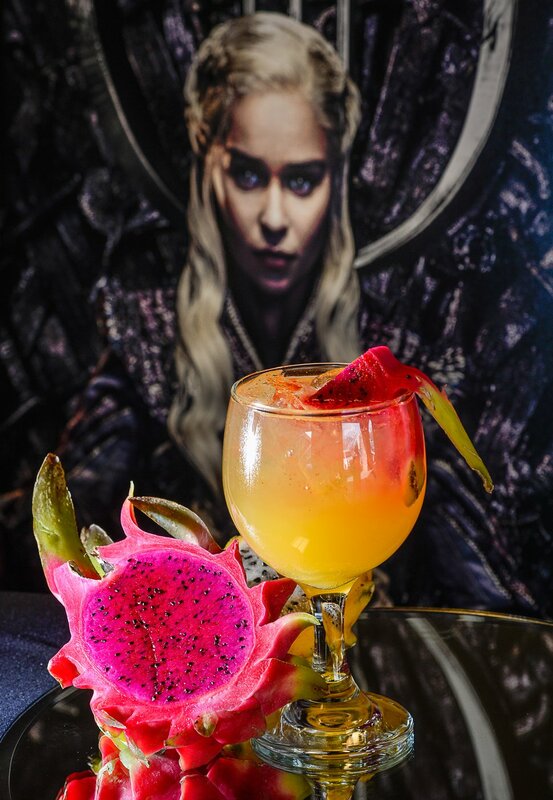 (Francisco Kjolseth | The Salt Lake Tribune) Oz Hutton, owner of Melange Liquid Catering, a Salt Lake City bartending service, makes the Mother of Dragons mocktail for a private "Game of Thrones" screening in Holladay. The drink is made with nonalcoholic triple sec, mango nectar, ginger ale, lime, cayenne pepper and garnished with dragon fruit. In recent years, she said, an increased focus on health and wellness is driving the rise of spirit-free drinks at restaurants and bars. Those who are serious about fitness and nutrition take to heart the link between excessive drinking and chronic conditions — from cardiovascular and liver disease to cancer. Pushing the trend are diets such as Whole30, which eliminates grains, dairy, sugar, legumes and alcohol from the diet for a month, and movements such as “Dry January,” when people ditch alcohol for the first month of the year as a reset from excessive drinking over the holidays. Stronger beer may be coming to Utah store shelves by year’s end. ‘We’ll be ready,’ says Salt Lake City brewer. Utah’s 0.05 DUI law limits individual liberties, says health scholar, but is ‘ethically justified.' She says other states should follow suit. Restaurants and bars also are adding creative nonalcoholic cocktails — often called mocktails — to their menus. At the new Hearth and Hill restaurant, which opened in mid-December near Park City in Kimball Junction, four mocktails appear on the drink menu. Boon’s Bubbles, named for owner Brooks Kirchheimer’s pet, is the most popular with a blend of raspberry puree, lime and lemon-lime soda. Customers have responded. Since opening, the restaurant has sold more than 250 mocktails a month. At $6 each, they are about half the cost of regular cocktails (which range from $10 to $12) but double the regular $3 drinks. Some of those mocktail fans, no doubt, were Latter-day Saints. (Francisco Kjolseth | The Salt Lake Tribune) Oz Hutton, owner of Melange Liquid Catering, a Salt Lake City bartending service, prepares for a private "Game of Thrones" screening in Holladay, where he was to make the Mother of Dragons mocktail. Made with nonalcoholic triple sec, mango nectar, ginger ale, lime, cayenne pepper and garnished with dragon fruit. Oz Hutton, owner of Melange Liquid Catering, a Salt Lake City bartending service, said mocktails have become a staple at wedding receptions — including Latter-day Saint ones — backyard parties and corporate events in Utah. A mocktail, of course, is more than just mixing a regular pina colada sans booze. It also should be visually appealing. Hutton put all those requirements into action recently, when HBO hired him for a private party and screening for the new “Game of Thrones” movie. The movie giant wanted to serve both alcoholic and nonalcoholic cocktails. 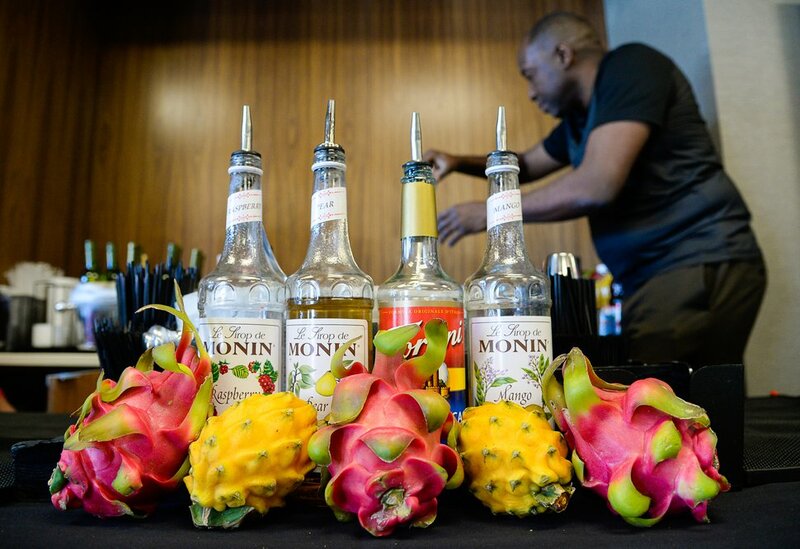 Hutton created the alcohol-free Mother of Dragons cocktail, a mix of mango juice, lime juice and nonalcoholic triple sec, garnished with fresh dragon fruit and cayenne pepper. See, it’s not just a Utah thing, but Utahns were among the first to raise it to an art form.